It is important to remember what we are fighting for. Something that Gringolandia will never understand. This beautiful song will help us remember what is at stake, what we are trying to save. Why we cannot let Puerto Rico disappear. Even Cheo Feliciano, who has passed on, but left us with this wonderful memory. The writers of The Krueger Report, the managing partners of the Oppenheimer Fund, the vulture funds, the IMF – none of them will ever understand this song. And that is why we cannot let them gain control of our island. Yo soy Boricua, Señores. Pero en ves de decir que tenemos que hacer algo, me gustaría saber mas de las soluciones para sacar a nuestra Isla a delante. I am a Dominican, who love Puerto Rico! Dali, Justa, Sergio and I saw this lady on Univision channel 41 News on Saturday…just after Sabado Gigante. After a huge build-up, they asked her to play guitar and sing a bit of her latest song. She could neither play nor sing HALF as well as you. YOU should be on Channel 41! 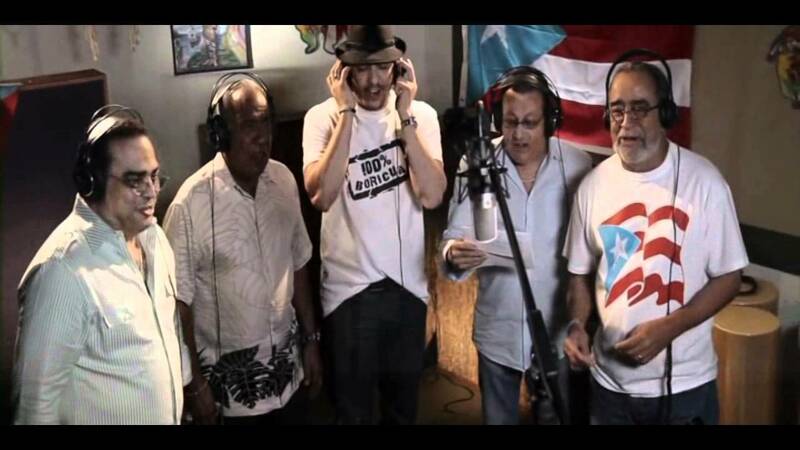 “Soy Boricua” ….. “This beautiful song will help us remember what is at stake, what we are trying to save. Why we cannot let Puerto Rico disappear.” ….. it’s time to be proud stand up to the “Master”! !